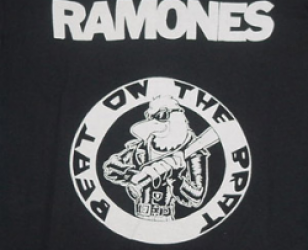 Promotional cartoon graphics for the band's song titled 'beat on brat' printedin clear black and white color. 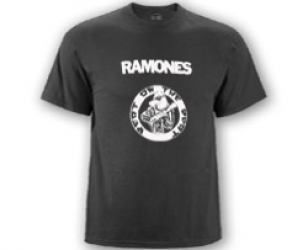 Rounded design with song name embedded in arounded format with image of a cartoon eagle holding baseball bat in swingmode. Block letter band name texts above.